Rug Hooking Flowers pattern created by Hooked on Primitives. You get a full size paper pattern with details, directions for hooking and finishing, a photo, additional ideas, etc. Finished it measures to be about 4" x 4," this is just the hooked area. Lots of possibilities with this versatile pattern. The color possibilities and sizes are many! 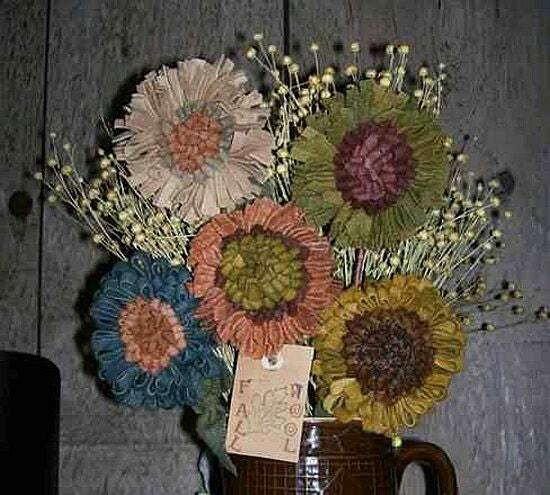 These flowers are a great way to use up your wool scrapes.